Please read below about how to choose your tour category. There are several options but many tourists like the sit back/relax coaches. They give you an amazing solution that can enable you to enjoy the land with great pleasure. 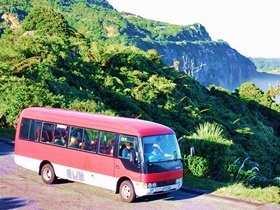 The coaches are comfortable and you will not feel the hassle when you are travelling in different attractions. However, the choice of your tour category will determine the cost of your package. Instead of using the seat back option, you can opt for private or even self drive services during your tour. The schedules are not fixed and you can make a change depending on how you want your travel to look like. Independent Seat in Coach Tours – Daily Departures! Sit back and relax. There really isn’t an easier way to see New Zealand than by our Independent Seat in Coach option. 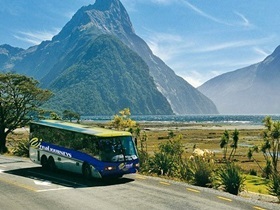 A premier fleet of coaches operates on the main tourist routes, with coaches varying slightly on some secondary routes. 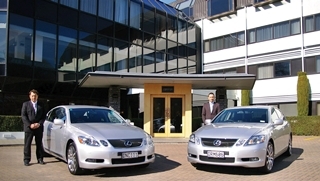 Airport arrival and departure transfers are included as is a hotel pick up and drop off at your hotel each day. The seating capacity in the coach is between 7-50 passengers. Driving in New Zealand is easy and safe! The main highways and motorways are excellent and clearly signposted as well as easy to understand. We are pleased to offer Europcar as a preferred car rental company for our programs and offer you a choice of four types of rental cars for you to select from. All car rentals include standard insurances and unlimited kilometres. 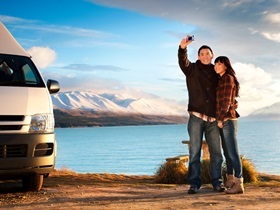 Upgrade your itinerary by taking a private car and English-speaking driver/guide for the entire itinerary. This will offer you not only a luxurious way to enjoy your 5 star holiday but the flexibility to start and finish your day when you choose as well as stop along the driving route for any photo opportunity, comfort stop or shopping that you might like to do as there is no fixed schedule! We realize that not everyone wants to be an Independent Traveller! Many of you would like to join a group tour with absolutely everything taken care of so you can sit back, relax and enjoy your holiday! We also design and operate our tours for small groups with a maximum of 12 people, we benefit from the small group experience. If you prefer travelling in small groups, you’re a single traveller, or perhaps a couple, and like the idea with scheduled departures and low minimum numbers you are sure to find something that fits the bill. 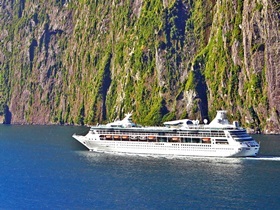 Overnight Cruise itinerary includes pickup and dropoff points, dining and activity times. 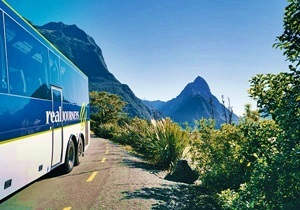 Do you have a group of 10+ who are looking for a truly personalised New Zealand/Australia experience? We love creating new and exciting itineraries to inspire groups so drop us a line and we will begin creating a personalised tour for your group at a very competitive price.